INDIANAPOLIS, Ind. 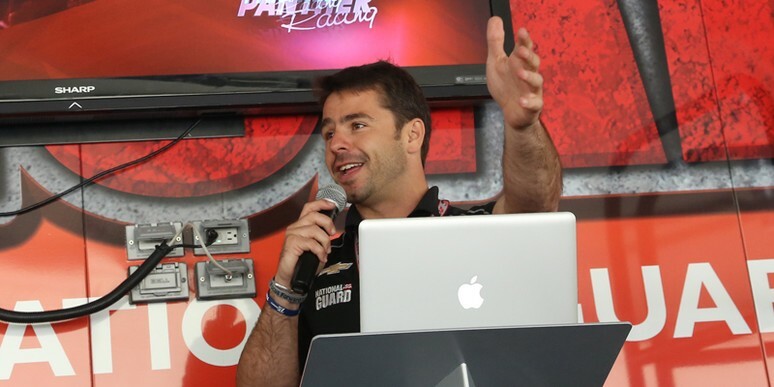 - (July 30, 2013) – Oriol Servia will return to Panther Racing’s No. 4 National Guard Chevrolet for this weekend’s IndyCar Series race at the Mid-Ohio Sports Car Course. Servia is poised to make his third start of the season for the team as Ryan Briscoe continues to recover from a surgical procedure to his right wrist. Servia finished seventh at Iowa Speedway in his last start for the team and originally made his debut in the National Guard car at Texas Motor Speedway. The Spaniard will join the team at the track on Wednesday for a full-day test session in preparation for this weekend’s event. Servia has made eight starts at Mid-Ohio during his open-wheel career and has a total of six Top Ten finishes on the 12-turn, 2.25-mile road course. His best finish was a fifth-place result in 2008 while driving for KV Racing Technology and he finished tenth in the No. 22 Panther DRR Chevrolet last season. JR Hildebrand gets F-16 ride. Watch video from the day as well as footage from within the cockpit.